Portland voters voted against adding fuorosilicic acid to their water supply, despite overwhelming odds, and continue to maintain their status as the largest city without fluoridated water. Pro-fluoride advocates marked the day as a defeat for public health. Anti-fluoride advocates rejoiced (for the fourth time since 1956) in the freedom of choice. The 61 percent of citizens voting down the measure included the Pacific Green Party, the Oregon Progressive Party, the Organic Consumers Association, the Oregon Association of Acupuncture and Oriental Medicine, and the Cascade Policy Institute – strange bedfellows indeed [link]. 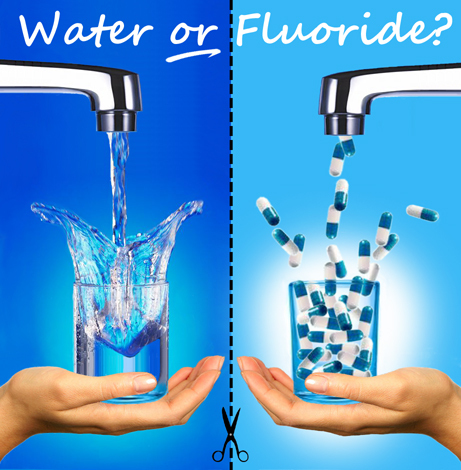 Assuming fluoride is not harmful to the human body there is no excuse – not even the fact that fluoride is proven to prevent tooth decay – for mandatorily medicating a population. Vaccines used to prevent communicable diseases are not even mandatory by law but, rather, are required by state law only if one chooses to take advantage of state resources such as public education. Public health prevention should be tempered through policies that are not invasive to the individual body. Mass medication of this type straddles an Orwellian line the Portland citizenry has firmly rejected. 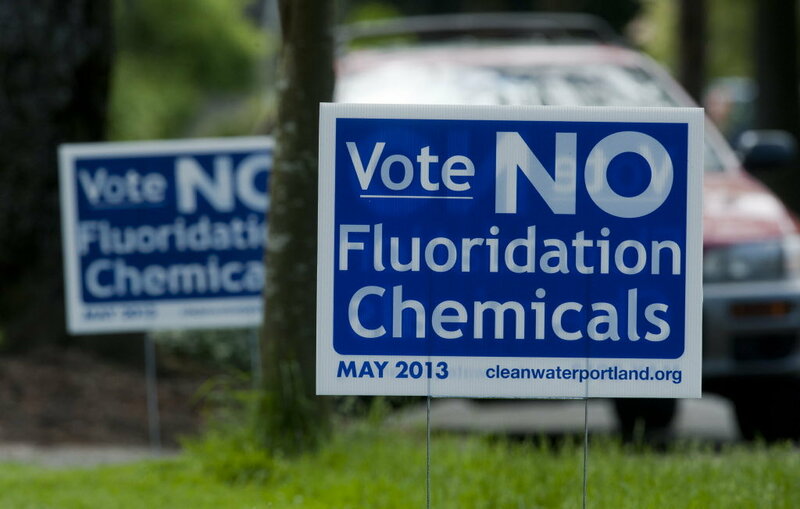 Healthy Kids, Healthy Portland and the pro-fluoride campaign, outraised their opponents 3-1 and still came up short at the end of the day, demonstrating democracy, at a local level, is alive and well in Portland. The government shared the support of fluoridating the city’s water supply, a move that would align Portland with the majority of large communities in the United States and would have a centralizing effect in consolidating power under agencies such as the Center for Disease Control. Keeping itself relevant is a primary reason for the government’s support of the measure. However, relevancy at the expense of additives to the water supply, a public resource, is a high price to pay. Currently, Portland schools, through ViDA (Vision, Dental, and Audiometric screening program), offer a daily fluoride tablet program that provides fluoride upon request to students and their families at no cost. This program respects the choice that families should have in providing their children a substance that is harmful if ingested in certain amounts. Actions such as these are within the government’s prerogative of response to so-called dental epidemics as is education about proper health and dental care and providing students healthy, non-sugary vending and meal options at schools. Truth be told, there are a multitude of options at the government’s disposal to address tooth decay that would preserve choice and could be much more cost effective than building a five million dollar facility with an annual operating budget in the hundreds of thousands. Switzerland uses fluoridated salt, thus preserving citizens’ choice by having non-fluoridated salt available. In Japan, a country that does not fluoridate its water, public health advertisements have normalized tooth-brushing after every meal such that students, teachers, and those in the workplace may be seen brushing their teeth in public and school restrooms around mealtimes. The voting results marked the defeat of a measure that threatened Portlanders’ choice, unique cultural status, and clean water supply. Despite five commissioners and nearly every major city newspaper advocating for the Measure and despite being out-funded, Portlanders spoke with the loudest voice. No matter which way one falls in the fluoride debate, the defeat of Measure 26-151 is a victory for the city’s democratic process.